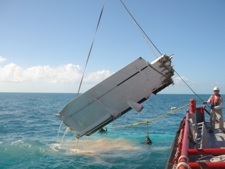 The Richard L. Becker and TowBoatU.S. 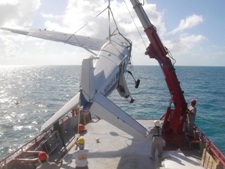 # 5 responded off the coast of Bimini, Bahamas to the crash site with the Salvage team. 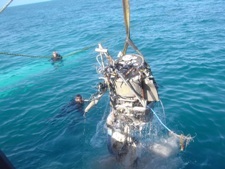 Salvage Divers deployed to assess the wreckage. 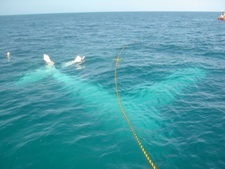 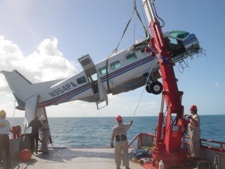 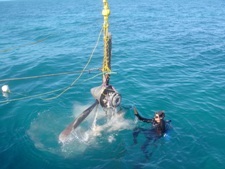 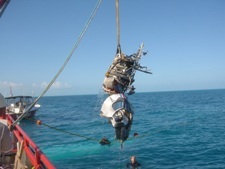 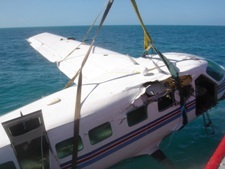 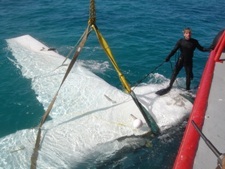 The Salvage crew recovered the fuselage, engine and wings using lift bags and the crane onboard the Richard L. Becker. 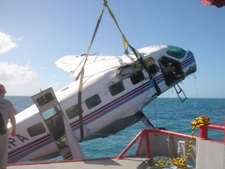 The wreckage was recovered successfully was transported back to the United States for investigation purposes.